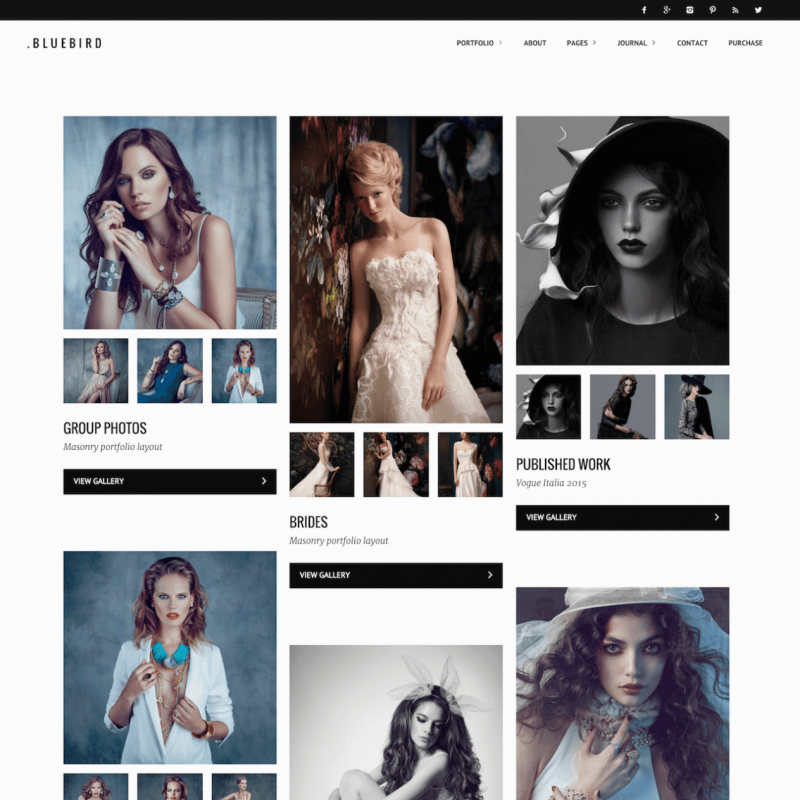 Bluebird is a premium WordPress theme. You may translate it to your language with Poedit translations editor. Bluebird is made for professional photographers, it is designed to look sleek and classy. Distinctive typography and a bunch of options make it a good choice. 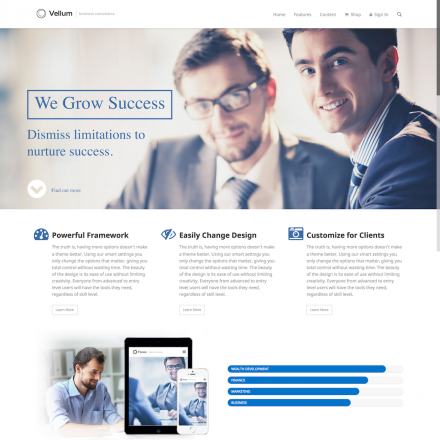 The theme includes 3 portfolio layouts (horizontal scroll, Masonry layout with thumbnails or Masonry layout with a hover effect), 2 blog layouts (standard and Masonry), photo proofing, pricing tables, services blocks, custom welcome screen with optional video or image background. Both horizontal and vertical images won’t be cropped and will look good no matter which layout you choose. With Bluebird theme you may create password protected galleries with built-in selection system, this will allow your clients to mark the images they like and to chat with you in a special comment area. The theme even provides a separate Client Area panel in your admin dashboard! 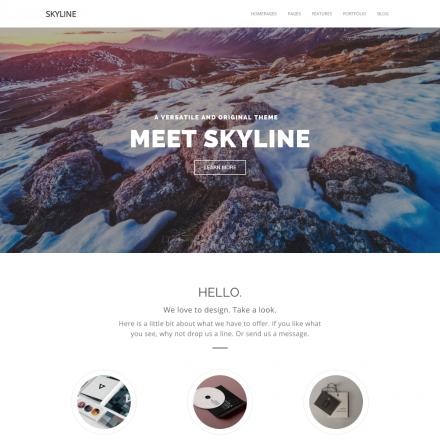 The theme provides smooth scrolling experience, it is optimized for touchscreen devices. Portfolio layouts include portfolio “albums” with Title and Subtitle, optional portfolio entry description, “Exit gallery” button, Vimeo and YouTube videos in Horizontal portfolio layout, Carousel is available in 3 sizes. 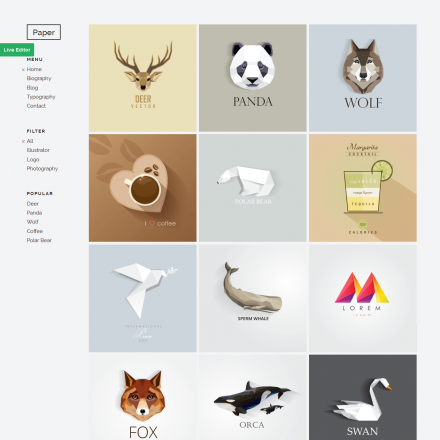 You may upload your custom logo image, add icons to your social network profiles. The theme includes basic shortcodes such as buttons, columns and callout text. Bluebird comes with a 1-click demo install for an easy start.